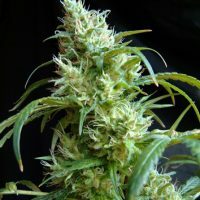 Big Devil XL Auto female Seeds produce a cannabis plant with Autoflowering genetics and a flowering time of 9-10 weeks. Big Devil XL Auto female Seeds has a genetic makeup of Big Devil #2 with a Jack Herer Auto and would make an excellent addition to anyones seed collection. Buy Sweet Seeds Big Devil XL Auto female Seeds at the lowest price online now! Feminized and non-autoflowering version of one of the most famous strains from the West Coast of USA, developed around the year of 1994 in Sunset Beach, South California, the Ocean Grow Kush, better known as OG Kush. 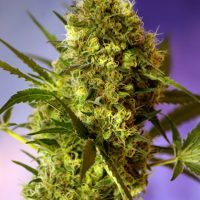 With an ultra fast flowering, Sweet Seeds Killer Kush is the resulting hybrid from the cross between a selected 3rd generation autoflowering genetic line leaning to the indica side and an elite clone of OG Kush. The result is a very potent plant with a very fast flowering. This strain produces large and aromatic buds, all covered by a thick layer of resin. The aroma is sweet, citric and acid with exotic tones reminiscent of aromas from the Chem Dawg â€“ Diesel family.